‘Foldable screen Samsung breaks with Excessive Bending.’ A prototype of a foldable Samsung screen will break if it is bent excessively. It would be apparent from a demonstration by the South Korean smartphone maker at electronics trade fair CES, which took place behind closed doors. by an unknown statement from business partners of Samsung, who attended the presentation. so that the device possibly be both as a smartphone and as a tablet. 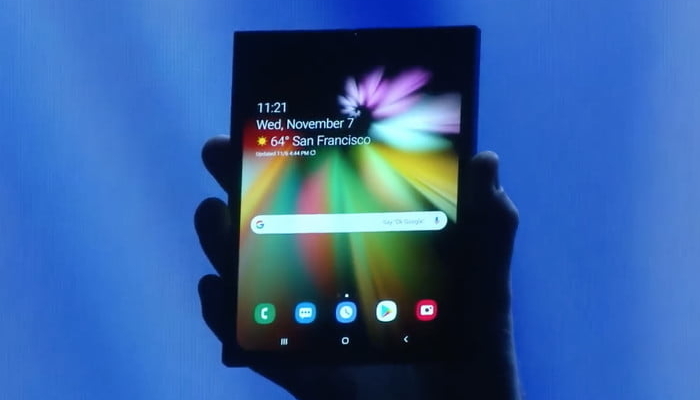 The Chinese company Royole is the first party to openly reveal a smartphone with a foldable screen at the CES: the FlexPai. The manufacturer sells the device from 1,253 pounds. Samsung is currently putting the finishing touches to its flexible screen before presenting a final product. The South Korean company would like to market its foldable smartphone in 2019.